Sign Board is another term used to describe High Density Urethane or HDU products such as Precision Board Plus. However, the term Sign Board is also used to describe a variety of other lighter weight foam products used primarily for indoor applications where the sign is not expected to encounter abuse or exterior weather conditions. Extruded polystyrene Sign Board and extruded thin-wall polypropylene Sign Board are two common light weight products used for indoor only applications such as menu boards, special event signage, directional and informational signs, indoor point-of-purchase signs, temporary and promotional signage as well as trade show signage. HDU or high density urethane/ polyurethane Sign Board is typically used in outdoor applications where signs are subject to weather extremes and in situations where signs may be subject to vandalism and other potential abuses. Often used as a substitute for wood, HDU signs can be carved or routed with standard wood cutting tools. Compared to wood, HDU sign board is much easier on cutting tools since some of them are nonabrasive, they will allow higher CNC feed rates and the cutter will last much longer than wood. HDU Sign Board will not rot and is impervious to insects and water. 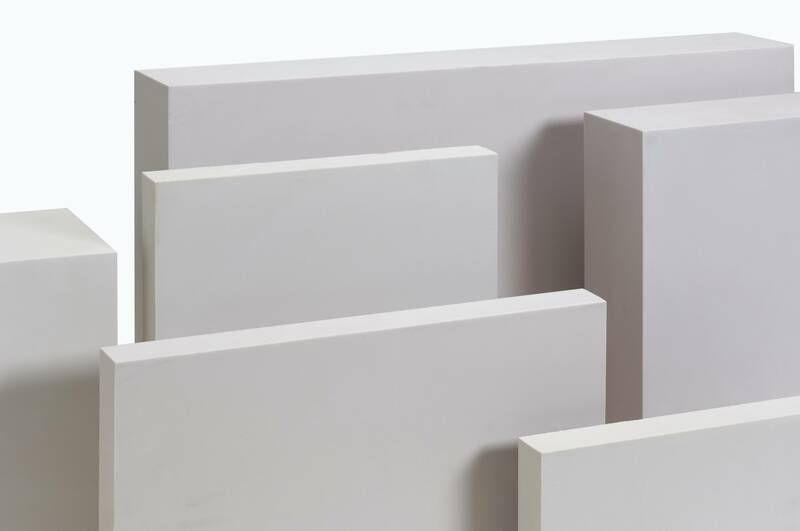 HDU Sign substrates are also available in a wide range of densities and thicknesses to match the performance requirements of the particular sign application.